"You were the friend we considered family. We will miss you..."
"Bon voyage Gaetan ta cousine"
"We will miss Guy's smile. He was always a gentleman and a..."
"Fly high like an Eagle my friend. You will be missed by..."
SCARBOROUGH - Geatan E. "Guy" Fradette, 64, of Old Orchard Beach, passed away on Tuesday, April 9, 2019, at the Gosnell Memorial Hospice House. He was born in Quebec, Canada on Feb. 12, 1955, the son of the late Jean-Paul and Liliane (Graindair) Fradette. He graduated from Biddeford High School and worked for over 30 years for Lionel Plant Associate Inc. of Peaks Island. 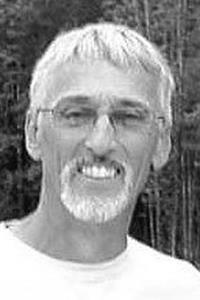 Guy was an avid golfer and pool player, and loved to ride his Harley Davidson with his friends. He is survived by his son, Nathan Fradette of Saco, Maine. He also leaves his sister, Carol Boccaleri of Old Orchard Beach; and his brothers, Marc Fradette of Mesa, Ariz., and Richard Fradette and his wife, Priscilla, of St. Marys, Ga.; as well as several nieces and nephews. Please visit www.advantageportland.com to sign Guy's guestbook and leave memories and condolences for the family.